Today, Crown Prince Haakon and Crown Princess Mette-Marit visited =Kaffe, one of the new cafes of Skippergata Street in Oslo. Crown Prince Couple had a breakfast with sellers of =Oslo street magazine. =Oslo magazine is an independent and ad-free street magazine. Half of the sales revenue goes to the seller and other incomes gained are used for the benefit of sellers in the form of events, materials and various projects. 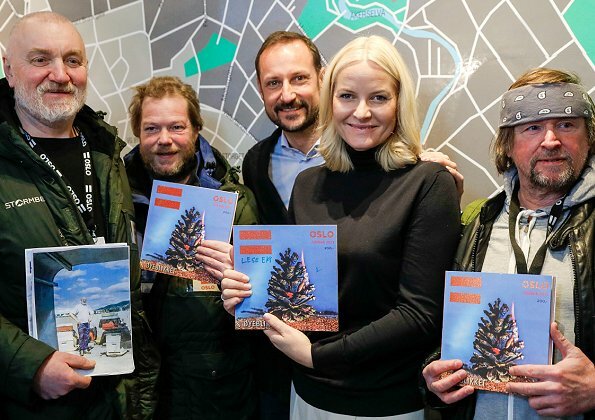 Selling of =Oslo magazine is carried out by people who are in need of social support. It must be interesting and enjoyable for Princess who loves books and reading.